Depending upon your age, you may remember that in the ’70s and early ’80s, wallpapers featuring blue geese and lots of florals were the must-have in many homes. Then, in the late ’80s, pre-pasted wallpaper hit the market and homeowners slapped up even more paper and patterns. Fast-forward five or so years later when those same DIYers grew tired of their must-have motifs and attempted to remove it themselves. In short order, wallpaper sales plummeted from a robust multibillion per year to just several hundred million per year by the end of the ’90s. However, in the past few years, major manufacturers have begun to note an appreciable uptick in interest and sales. Jon Sherman, president of Flavor Paper, says his company has enjoyed a major bump in sales in recent years, and especially this year. Laux notes that wallcoverings are the go-to choice for hospitality venues due their durability and design. “You can take an aging property and literally transform a hallway overnight in a way you simply can’t with paint. 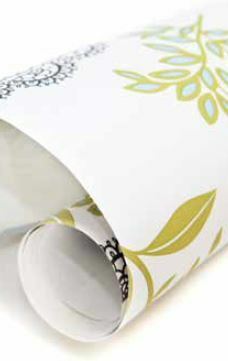 Plus, wallcoverings hold up to maid carts and luggage bumps much better than even the most durable paint,” says Laux. Thanks to innovations in production and design, wallcoverings make it possible for customers to achieve any look or vibe they want. Sherman notes a growing interest in oversized florals and color-changing inks, and adds that LED coverings are really trending. Literally embedded with LED lights, these pricey coverings bring a bit of drama and a lot of ambience to a space. 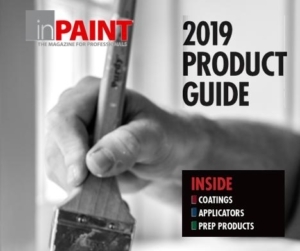 While these new innovations answer a number of specific consumer desires, they’re often too delicate for commercial use, and require professional installation. Formerly known as National Guild of Professional Paperhangers, the 600-member WIA is where both buyers and manufacturers turn for professional help. LaRusso says, “Coverings are evolving so quickly that it’s important for pros to stay current on techniques specific to different manufacturers. The WIA offers accredited courses ranging from the basics of installation to handling highly specialized papers.” WIA’s member directory is accessible to consumers and manufacturers.